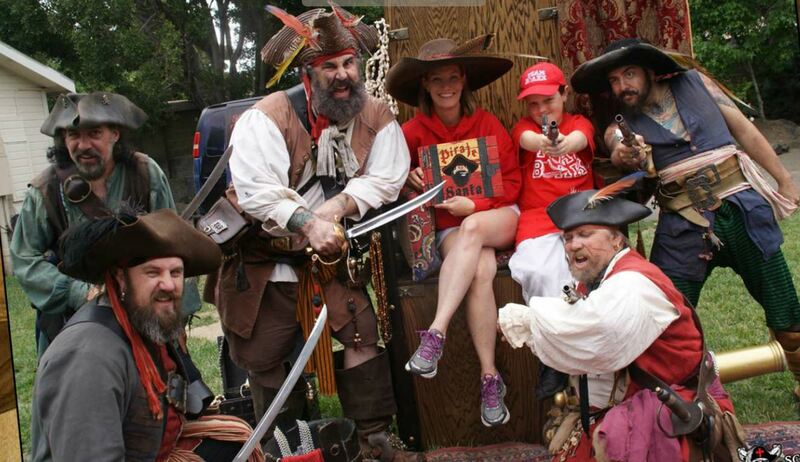 While Pirates of the Caribbean star Johnny Depp was prepping for the MTV Movie Awards last Sunday, a crew of swashbuckling buccaneers from Studio City Tattoo Inc. were nearby battling Star Wars Troopers for a very worthy cause to fight neurofibromatosis (NF). 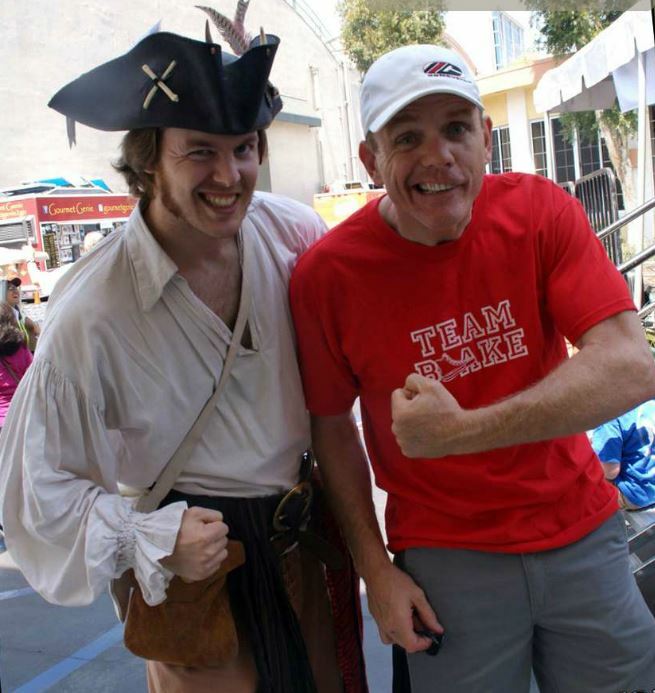 Kids, parents, and volunteers, for the Children's Tumor Foundation, Los Angeles, CA NF Walk enjoyed a fantastic pirate extravaganza provided by SCT's CEO, Clay Clement, otherwise known as the dreaded pirate Talderoy. 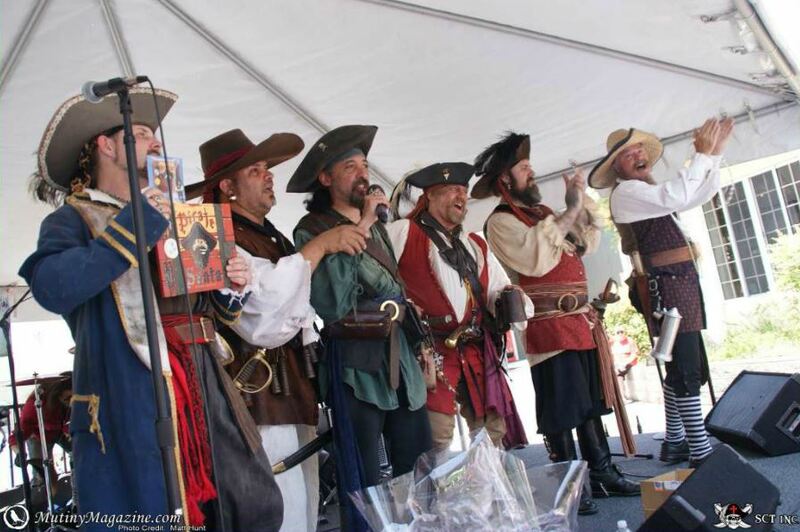 Locals know that the Studio City Chamber of Commerce has come to rely on Talderoy'scrowd-pleasingg flagship (SCT) to sail into an event armed with the twin "guns and muscles" of the Children's book, Pirate Santa and the grown-up Mutiny Magazine alongside sword fighters courtesy of Best Party ever. ( Winners of Nickelodeon's Parent's Choice Awards 2010 and LA Parents Best of 2011). Also at the Los Angeles NF Walk were Parenthood actress Monica Potter, NBC weathercaster Fritz Coleman, comedian Chris Titus (Titus) and actor Dominic Keating (Enterprise). The walk took place on the CBS Studio lot and other festivities included a Canines in Costume Contest. In keeping with his family-oriented philanthropic efforts, Clement teamed up with the Studio City Chamber of Commerce to support Kim Robinson, a California mother of a young boy with neurofibromatosis (NF), and the Children's Tumor Foundation. Robinson is a passionate voice for spreading the message about neurofibromatosis, a group of genetic disorders that affects one in every 3,000 people and causes tumors to grow in the nervous system. 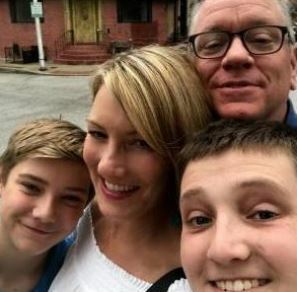 Her cause is personal but with over 100,000 people affected by NF in the United States and millions more around the world, she hopes her work will not only help find a cure but also provide much-needed support to affected families. The Children's Tumor Foundation is a 501C3, not-for-profit organization and recipient of a four-star rating from Charity Navigator. The Foundation is dedicated to improving the health and well-being of millions of people worldwide living with neurofibromatosis (NF) a term for three distinct disorders: NF1, NF2, and schwannomatosis. NF causes tumors to grow on nerves throughout the body and can lead to blindness, disfigurement, learning disabilities, and excruciating and disabling pain. Help us raise money for Children's Tumor Foundation and help us END NF! On October 20, 2018, I will be participating in the Los Angeles NF Glow Walk to raise awareness and research funds for the Children’s Tumor Foundation, an organization whose mission is to end neurofibromatosis (NF). If you think it’s hard to pronounce, try living with it!NF causes tumors to grow throughout the body and can lead to blindness, bone abnormalities, cancer, deafness, disfigurement, and learning disabilities. Your support will bring us one step closer to ending NF. If you would like to walk with me, please register today! On behalf of the millions worldwide living with NF, I sincerely thank you for your donation.